A brand new TV Show are now casting for people to take part. In particular they’re looking for young, outgoing and talkative students and those aged 18-35. 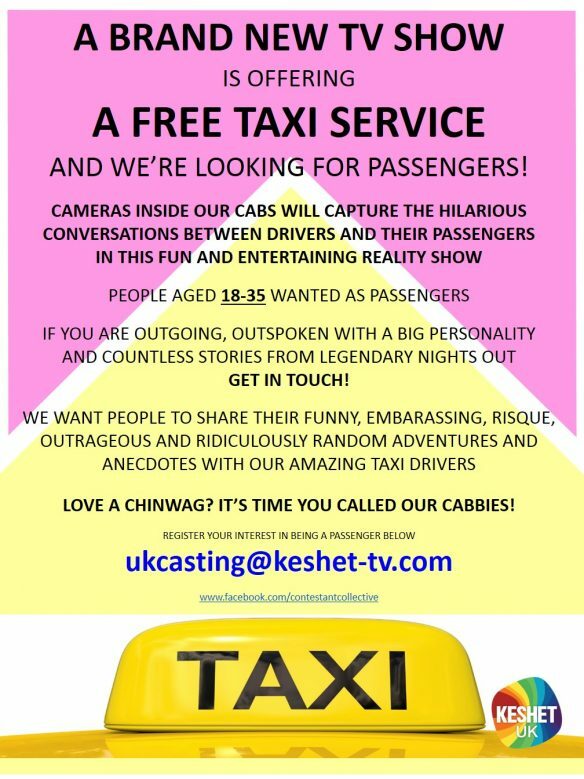 The show is a brand new reality series which will offer young people across London a free taxi service. A cross between Carpool Karaoke and Gogglebox, they will have a special fleet of shuttles which will be rigged with cameras that will record the funny, random, outrageous and endearing conversations between the drivers and passengers.